Replace or repair my sash windows? Home » Sash Window Advice • Sash Window Draught Proofing • Sash Windows » Replace or repair my sash windows? Using existing sash windows in almost all cases will result in short, medium, and long term costs savings, as well as reducing carbon emissions. If you’re unsure on the correct path to take, this article looks in depth at all the cost variables and where value can be found in sash window repair and replacement. Long term, new double glazed sash windows may prove some value, but it is way down the line. 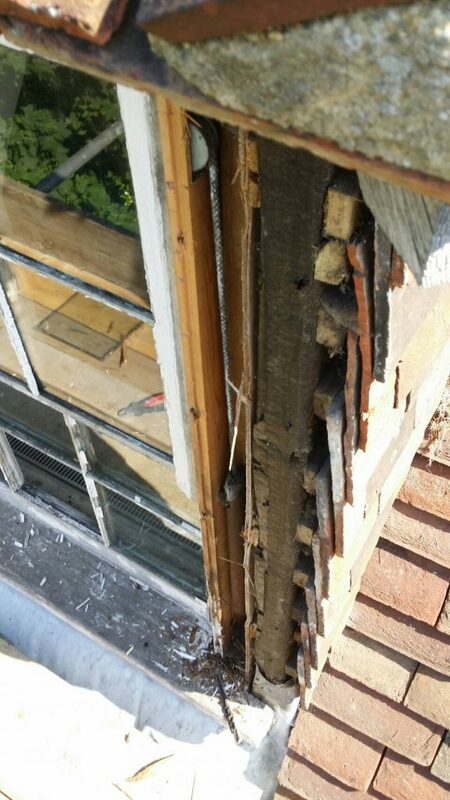 Don’t just take my word for it let’s go though some figures and make clear sense of sash window replacement versus repair and draught proofing conundrum, but before we do, let’s just start by saying sash window repair to damaged timber is a very viable solution. We should not just be writing off our sash windows, because the sills need replacing. 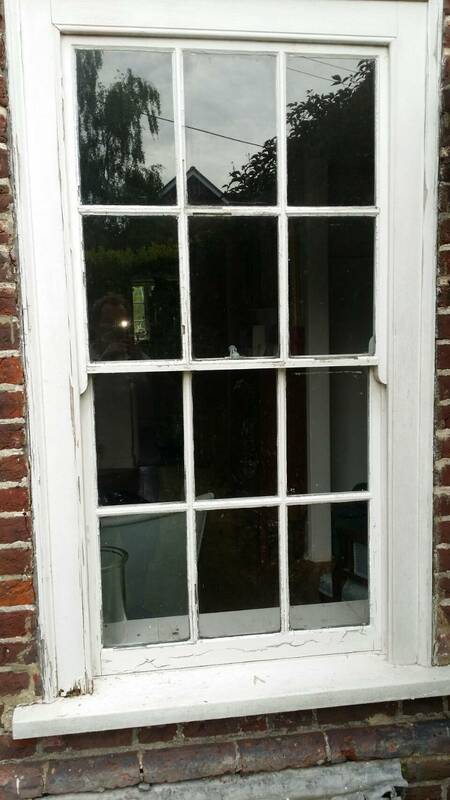 Old sash windows – should we repair or double glaze, the old conundrum. £14,000 / £70 = 200 months / 12 months = 16 + Years!! Let’s be clear, new double glazed sash windows will make a massive improvement on the original 30% heat loss but will not bring that figure to 0%. So we were kind with the equation on price in favour of the replacement (based on getting a brilliant price of £1400 per window) and flattered the energy savings as well. I also over estimated the heat loss through windows – most studies show a range from 18%-25% but I have taken the extremes to prove beyond any doubt that a new double glazed sash window, just isn’t financially worth it. I haven’t included any additional variables the window upgrades bring, such as the double glazed unit breaking down and misting up – we have all seen that I am sure by now! But wait! Theres another consideration. What if you have a mortgage? What if the interest rate is 5%? The money spent on new double glazed sash windows, instead of repaying the mortgage, now that makes the opportunity cost more like £28,000 at compound on 5%. So the true repayment period for anyone borrowing is over 30 years! Now if we add to that, the windows will need refurbishing after 15-20 years for the first time(or at least that would be a sensible figure from the windows we make), it’s very tough to see any long term financial payback and we have not even touched on the efficiency of draught proofing for your original sash windows. New double glazed sash windows returns without considering finance first. What we’ve not discussed here is the impact on your standard of living. For those sixteen years you’ll be at your first service interval, and you’ll be preparing to decorate the sash windows for the first time. That is if you’ve bought high quality replacement sash windows with a porous paint that really lasts. More on decoration, paint types, and techniques are found in the article linked but for now let’s turn our attentions to the benefits other than financial of brand new, all singing, all dancing double glazed sash windows. Sash window sound proofing from new double glazed sash windows has to be the number one benefit to any home in London. Buses passing close to the home pierce the ear, almost painfully. In fact I have written up in considerable detail in my article sash window sound proofing the effects and benefits of double glazing, and draught proofing on noise pollution. To summarise that article, if neighbouring pets, or buses are close by, or even your neighbours are a nuisance then it’s likely double glazing is the route forward for you, draught proofing alone won’t cut it. Some people, rather than entirely replacing, are installing double glazed units into the original sash windows. This gives most of the benefits of replacement with a fraction of the costings! You can always test though, in my DIY article I show many cheap ways to draught proof your windows without spending a great deal of time or money. It’s a great way to save on heating too. I’ve looked at sash window security in quite some detail on the page noted. It’s quite apparent that two panes of glass are much better than one for stopping intruders. You also have the added benefit that double glazed sash are heavy, and with security restrictors correctly installed into the meat of the timber, your windows are almost bullet proof. I say almost because you can’t stop a maniac with a sledge hammer breaking in. All we can do if we want to live a life without bars is make sure an intruder must make as much noise as possible to get in our homes. Incidentally, talking about bars, I do mention some windows benefit considerably from it and doesn’t look terrible, especially windows that are basement level which are completely out of view. Intruders for the best part are cowards, hiding, trying not to be seen, and therefore in these situations protecting our property comes ahead of aesthetics. Although this is an old sash window the principal is the same. The security restrictor grommet has a lot of girth, that makes breaking it out almost impossible without a crowbar and a lot of noise. If it’s properly installed glass must break to open the window. With brand new windows comes a whole pulley stile that’s neat, and parallel to the sash. The result is a window that opens and closes nicely without side to side movement, or even worse, as you pull the sash up, one corner digs into the side of the frame, making the travel clunky and depressing to use. Anyone with original sash windows that have never been draught proofed will understand this all too well. I had to make an article on sash windows getting stuck because of this very problem. Very comfortable rooms that are no longer cold when the wind chill picks up. This is a little biased to mention this just for double glazing. 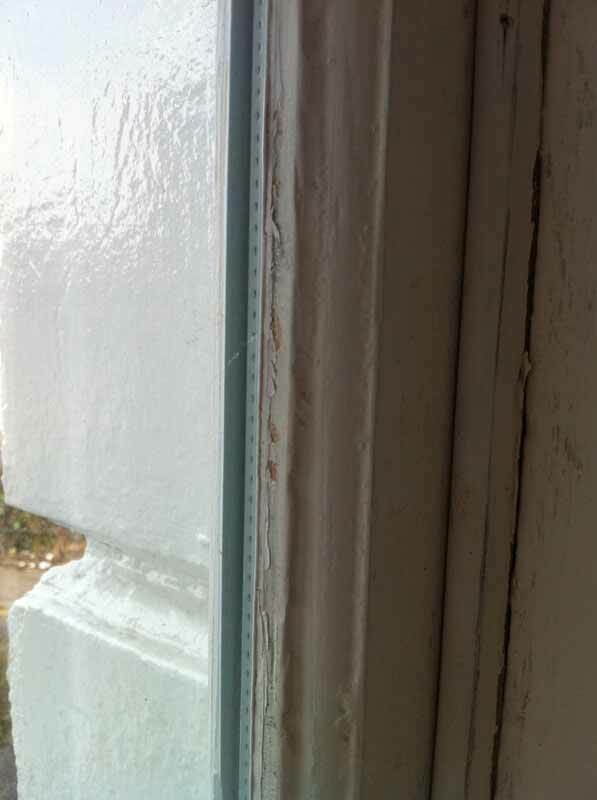 Sash window draught proofing systems main benefit is to eradicate exactly this issue. If this was your only problem, I would still turn to sash window draught proofing before replacing my original sash windows. If original windows are in relatively good condition it’s fair to expect an overhaul and draught proof to cost in the region of £200-£250 per window. 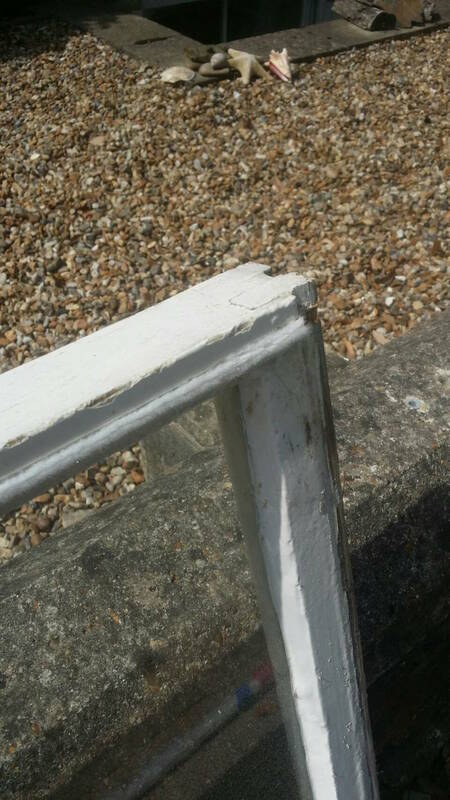 In some cases external repairs are required such as sills (£120-£240) or a new replacement sash that’s rotted away (£150-£275). A typical 10 sash window refurbishment job will cost around £3000 give or take 20%. A draught proofing system is very effective because a window that functions correctly requires a 3mm gap between sash and beads to allow smooth, free travel. This is an industry accepted figure. Those 3mm gaps equate to a gap between 4 and 6 square inches. Imagine having a hole in the middle of your glass. I am sure you would be pretty quick to cover it! There are no official figures for energy reduction through draught proofing however from honest experience I have known owners that have become repeat customers over the years with larger properties to save around £120 a quarter on their gas bills and more in the winter months. The consensus is always the same. “We can turn the heating off more quickly”. The draught proofing system assists in retaining the heat and keeping the chill off. It’s certainly true that once an installation is completed, you will instantly notice your valuable heating holding better in the room, just ask some of the many satisfied customers I have to see what they say about draught proofing. Here’s a quick close up look at how the draught proofing system works. If your still not sure, I challenge you to close those gaps yourself temporarily or even permanently. There are two great methods. The first one is to tape all the joints on your sash window. The second which is slightly more effective, push clingfilm into the gaps. It’s a time consuming process but if you don’t open your windows, this can be used as a more permanent solution as well without hindering the aesthetics! £3000 / £40 = 75 Months = 6 Years. This is a far healthier figure than double glazing and one that has light at the end of the tunnel if this is purely financial, that you as the homeowner are likely to enjoy. We must also consider that this is an overhaul and draught proof. Your windows are going to be serviced which is part of the cost and has no impact on the draught proofing. So in the figures above your also getting new sash window cords, parting bead, sash window furniture, security, and locks free. When all that is combined it’s hard to see why we would replace at all and why we haven’t already draught proofed our sash windows!? In fact if you are a landlord with the new rules coming into effect soon a sash window draught proofing system is a no brainer. You should be able to recoup the costs in improved energy efficiency of the property as well. There is an additional cost as compared with new double glazed sash windows we have not considered and should – decoration. If you intend to decorate the sash yourself then a ten window job will cost around £100 in materials and your valuable weekends and evenings. If you pay a professional a quote is likely to set you back from a reasonable £180 per window to a staggering £350! Yes I have seen decoration charged at this rate and considering almost anyone that has patience can make a great job of it, it’s a great saving to be had. At the end of every refurbishment we complete, where customer has not engaged us for decoration, I readily and happily talk through how to decorate the sash window safely and comfortably from the inside – you don’t even need a set of ladders, assuming your windows are of average size, a set of steps will do! If you decorate in the correct order it’s extremely easy indeed! Now that we have worked out we are not buying new double glazed sash windows to save money and we looked at the non financial benefits in some detail, let’s talk about double glazing in general. We should look at genuine reasons why we might want to make the upgrade. The first, and best reason is to cut noise pollution as mentioned. If you are on a busy bus route or cut through and the bedroom is at the front of the property, from personal experience I know it can be miserable. 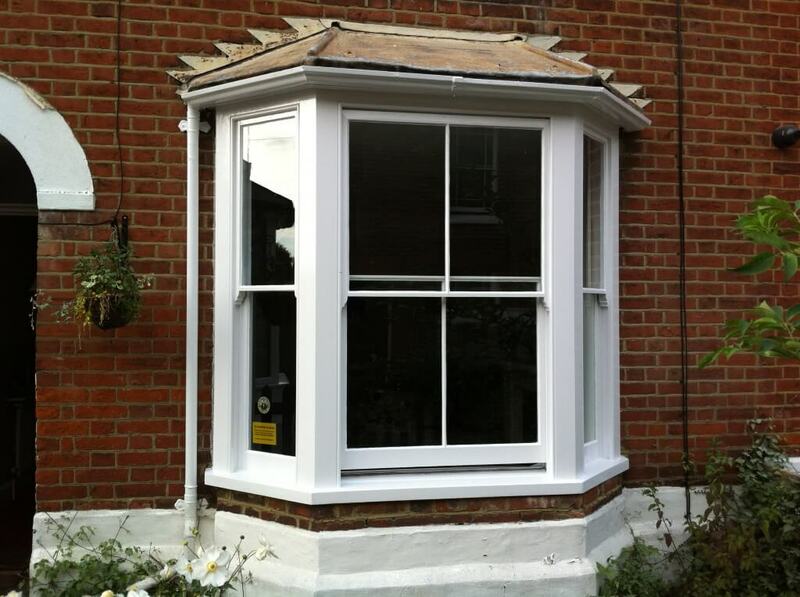 Some homeowners not only double glaze the sash windows, they also install secondary glazing. This produces incredible results. Noise is cut to almost zero however the cost is prohibitive and we still have to consider noise that comes through your brick wall cannot be blocked. 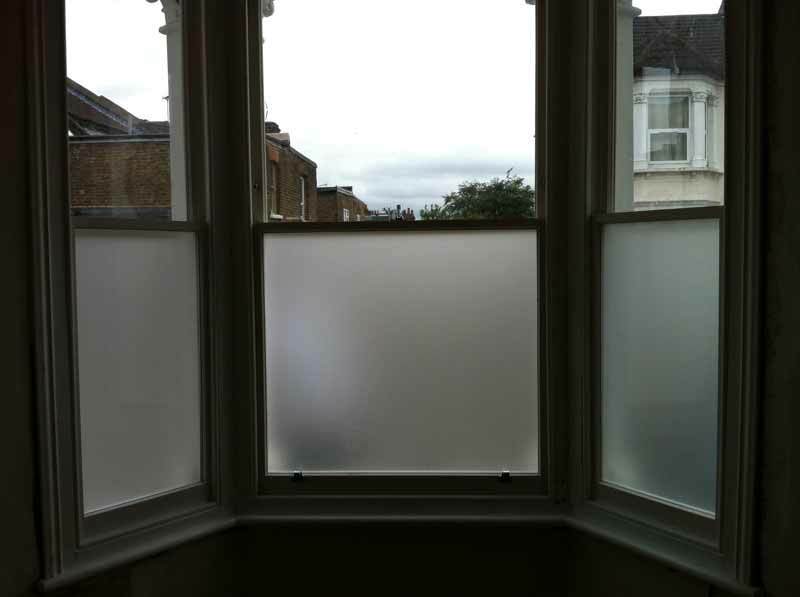 Condensation is a major issue on single glazed sash windows in London. Draught proofing will not improve condensation, in fact, technically speaking, it should make it worse! Double glazing however, will dramatically improve the situation. It should be noted that, to a larger extent, condensation is environmental. We dry our clothes or shower for example and this leads to condensation. If you are suffering from condensation, replacing the windows alone will not entirely eradicate this problem and retaining large amount of moisture in the air will lead to other problems such as mould. There needs to be airflow if we are going to saturate the atmosphere with moisture. 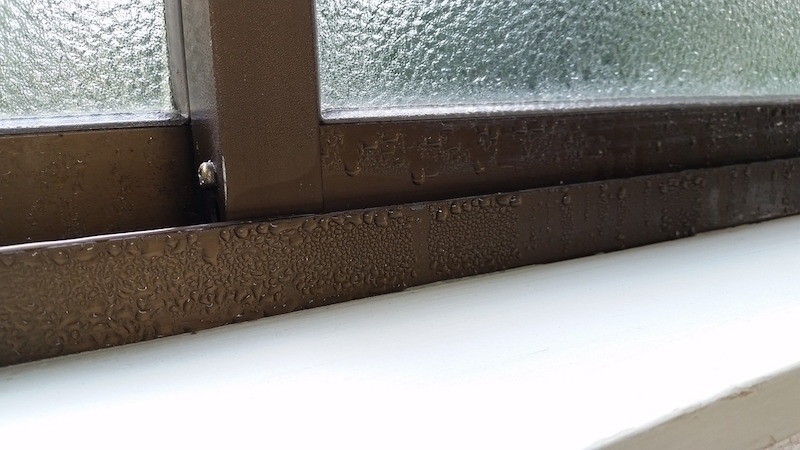 I am sure we’ve all seen sash window condensation, it even happens on modern metal and plastic windows, just take a look at this example! Window condensation – it doesn’t matter how old your windows are if they are not double glazed! Another great reason to have double glazed sash windows is the increased security. Two panes of glass to get through, as well as a much heavier sash. This makes the window as a whole, a lot more secure. 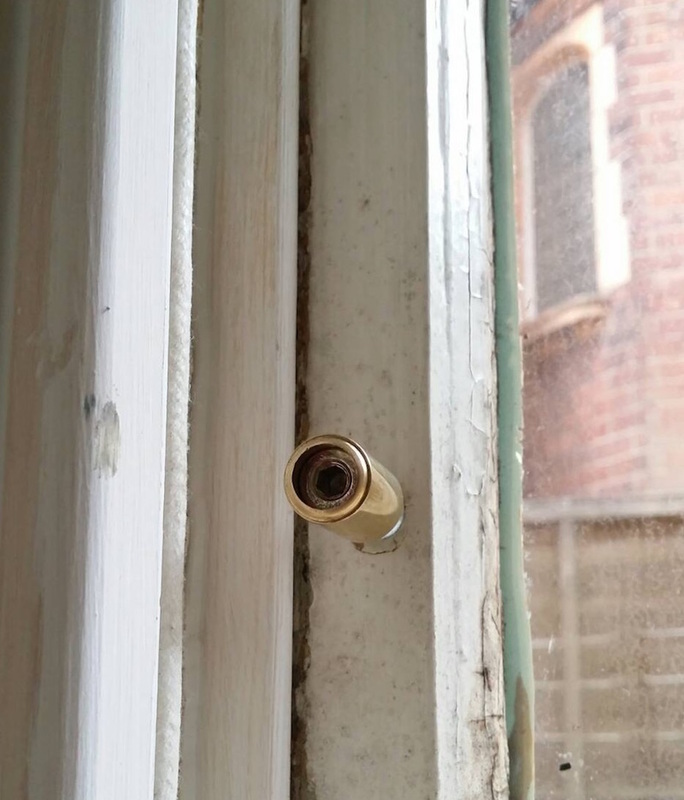 If you install security restrictors and have a quality sash window catch, for example a Brighton Fastener, then the only way to come through the window is to break the glazing or with a crowbar, which will also break the glazing as the sash distorts in shape. Both result in an unpleasant entry route for the burglar. Another advantage of double glazing is that we can install glass that reduces the damage caused by direct sunlight. Bleaching of flooring, and furniture is a common problem associated with traditional glazing, that new glazing will improve. We shouldn’t forget, a new double glazed sash window, freshly installed looks stunning. With all these benefits is there any way double glazing can be more economically viable? In short yes, there is a way to make double glazing sash windows affordable and I briefly touched on this earlier in the article. There are two favourable options. Both involve not entirely replacing the window. The first option if the sash can, without compromising the integrity, handle the additional weight is to install a double glazed unit in the original sashes. This is done by rebating the original sash deeper to hold a double glazed unit. This method is extremely cost effective combined with a draught proofing system and costs between £480 – £680 per sash window for standard double glazing. It has most of the benefits of an entire replacement sash window, although it is not quite as energy or noise efficient. A new double glazed sash window can have a 20mm air gap as the sash can be made with more depth and an offset mortice and tenon. It is a by far, the best way to double glaze your sash windows if we strictly consider costs versus performance. The second option is to re-use the existing sash window frame, and manufacture double glazed sashes, like for like to fit the original frame. By manufacturing new sashes we can provide the benefit of a larger double glazed unit. We can rebate the face edge of the top sash so that full travel is still possible as well as install a slightly smaller staff bead to hold the lower sash. The results in terms of energy efficiency are excellent and the costs range from £720 – £980 per window. The installation is still more favourable than complete replacement but not as good value as the former option. Let’s take a look at an original sash with a double glazed unit installed. This example is yet to be decorated so you can see clearly the process. It’s a common misconception that replacement with modern thermally efficient windows is entirely environmentally friendly. The equation is not quite as simple as subtracting energy saving from draught proofing vs energy saving from new double glazing. 50kg / 1000kg * 5.6 million BTU = 280,000 BTU. If BTU isn’t your thing then lets convert this to Watts. 280,000 BTU / 3.41 = 82111 Watts! I’m willing to bet your double glazed salesman, be it PVC or Wood didn’t tell you that whilst discussing the environmental benefits of nice new windows. That figure is glass alone, it does not take into consideration transport of glass, manufacture of the double or triple glazed unit, manufacture of the window itself, the timber, or the consumption from manufacturing of the new counterbalance (normally lead). Manufacturing is always going to be an expensive process for the environment. That said, installing double glazing into old sashes does work to reduce carbon emissions. The attempt of this article is not to put you off double glazing and replacing your sash windows, as these are services we provide. The article is in place to give you a genuine and accurate understanding of the difference between replacing your sash windows or repairing them. Why my sash window security leaves me sleeping peacefully.